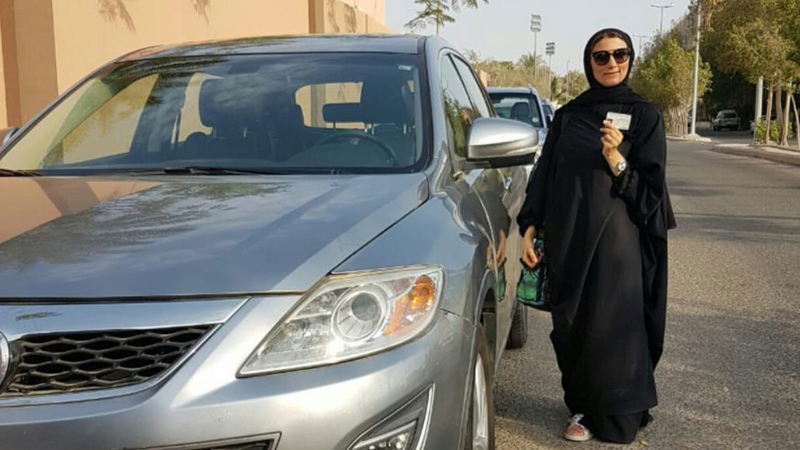 mmunology Product Specialist, Yasmin, who supports Bristol-Myers Squibb Saudi Arabia, is the first woman at to obtain her driver's license. When Saudi Arabia lifted its ban on women drivers in June, Bristol-Myers Squibb Immunology Product Specialist Yasmin was one of the Kingdom’s first women to sign up for driving lessons and the first woman in working with Bristol-Myers Squibb Saudi Arabia office to get her driver’s license. In September 2017 Saudi Arabia’s King Salman issued a decree allowing women in Saudi Arabia the right to obtain driver’s licenses without having to ask their husbands or fathers for permission. At Bristol-Myers Squibb Saudi Arabia, where the Leadership Team had already taken steps to enable gender diversity and female career advancement within the company, the team was eager to support women after the decree by covering the cost of licenses for its female consultants and employees. “Our goal is to support further change for women working with at Bristol-Myers Squibb that we are beginning to see outside of the organization,” Bristol-Myers Squibb Saudi Arabia General Manager Hisham Hagar said.